A journey is better measured in friends rather than distance. Knysna: a town that will delight your senses. 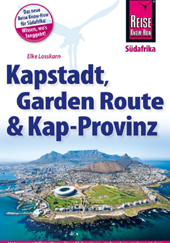 At the heart of South Africa’s beautiful Garden Route. An unsurpassed level of hospitality. 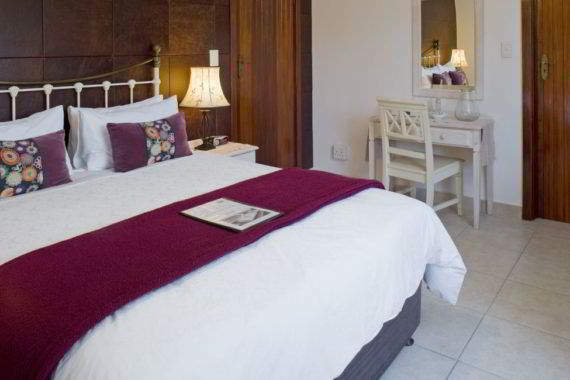 Candlewood Knysna offers top quality guesthouse accommodation in Knysna, South Africa’s Garden Route. 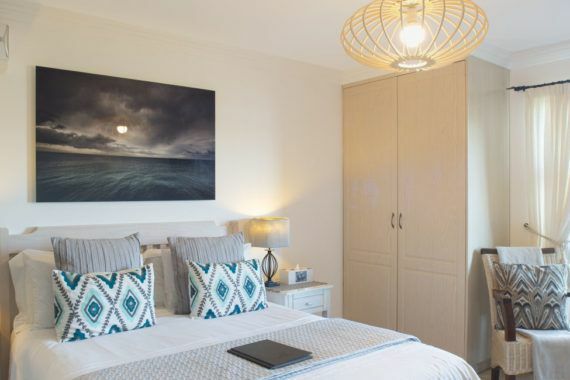 Effortlessly combining the luxury of five-star personal service with home comforts, Candlewood Knysna is a unique, intimate B&B. From the moment you arrive you’ll experience a feeling of having returned – of coming back – even if it’s your first visit with us. That is because our award winning, eco-friendly guesthouse extends a sincerely warm welcome to everyone who visits Candlewood Knysna. From the moment you arrive, you’ll feel the warmth of the welcome at Candlewood. 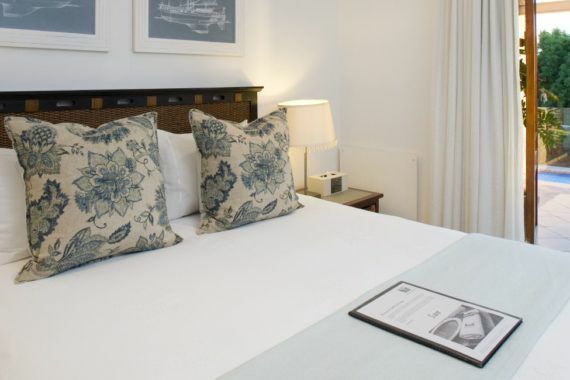 Perched high above the Knysna Lagoon with stunning views of the famous Knysna Heads, our award-winning, eco-friendly guesthouse offers an unsurpassed level of hospitality. Always ready to provide help and advice on local attractions, places to eat and exciting activities, they’ll make sure that your stay at Candlewood is truly memorable. 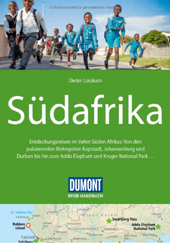 Our many journeys have taken us around the whole world and throughout the entire African continent. We have made memories of each place with their unique landmarks and impressive natural wonders. We have gotten to know people from all over the world who have impressed us with their hospitality. Now it’s time for us to return some of this hospitality in a special place. Just as the Knysna Heads protect the lagoon from the ocean waves, we are dedicated to offering travellers a place of calm and serenity. We are excited to host you, to give you a place where you can add stories of Knysna to those of your travels and experiences, and to make sure that your time with us is as special as you are. 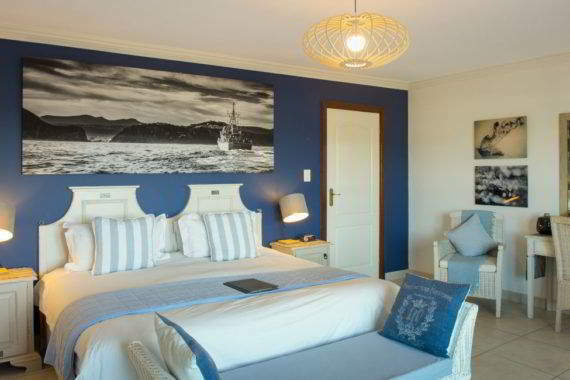 You’ll find that staying at Candlewood Knysna is all about enjoyment and experience. We know that our guests are special, so we do what we can to make your stay as special as you are. We want your stay with us to be a special experience that rivals the many adventures you’ll have in Knysna. At our B&B, breakfast is announced by the homely smell of freshly baked breads, and these go well with the sweet taste of childhood in our homemade preserves. 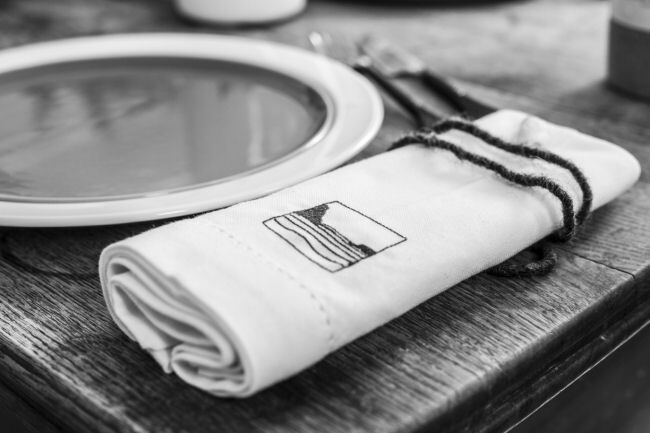 We prefer only the best quality for our guests, so all our products and ingredients are sourced from local farmers, dairies, bakers and butchers. We try to keep as local as we can and most of our suppliers are within 40km of Knysna. Like our cheesemaker, Alje, who produces his award-winning cheeses from the edge of the Tsitsikamma forest. Sip a tasty selection from our tailormade tea menu and make yourself at home as a member of our Breakfast Club. The majestic candlewood tree is indigenous to South Africa and, in the Knysna forest, can grow up to 20 meters tall. Early settlers used its bark to treat coughs, songbirds are attracted to its fruit and the Khoisan people know it as the tree of serenity and calm. 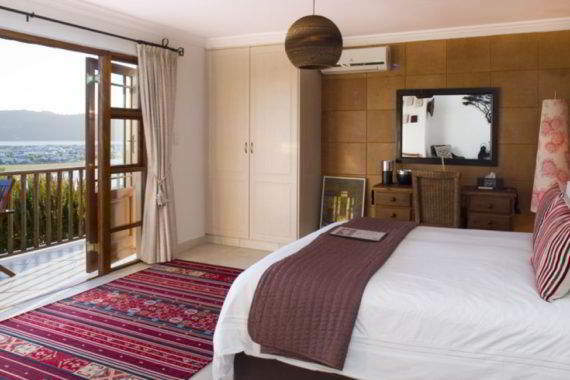 This is Candlewood Knysna: a serene and calm, luxury guesthouse on a small hill in Knysna. Surrounded by a lush tropical garden, we have the most enchanting view of the Knysna lagoon, Thesen Island and the Knysna Heads. Our luxury suite or one of six double rooms will come to feel like home during your stay, and guests have free access to the swimming pool. We love sharing a sundowner with our guests before you head out for dinner at one of Knysna’s best restaurants. With a glass of fine South African wine in hand, the golden sun setting over the sapphire lagoon and the western head is a sight not easily forgotten. There are few places in Africa that can offer as many varied and spectacular visitor attractions as Knysna. In the language of the Koisan, the region’s original inhabitants, Knysna means ‘the place of wood’. The impressive forests that surround the town have brought the town peace and prosperity throughout the centuries, while the surrounding scenery of the Garden Route’s Outeniqua Mountains, lakes, lagoons and pristine beaches provide magical experiences for today’s traveller and explorer. Minutes upon arriving at Candlewood Lodge we knew we'd hit the jackpot...Andi, Ines, and Byzan welcomed us like we were old friends. We were given a glass of wine to enjoy while Andi gave us plenty of suggestions for our time in Knysna. That was just the beginning. The locally-sourced breakfast was delicious, our room was cozy and comfortable and had an awesome balcony facing the lagoon, and the entire staff was so friendly and kind. Candlewood Lodge is literally a home away from home. Well done, Andi and Ines! My only problem with our 4 night stay at Candlewood is that it wasn't long enough! Ines and Andi are perfect hosts and cannot do enough for you to make your stay comfortable. 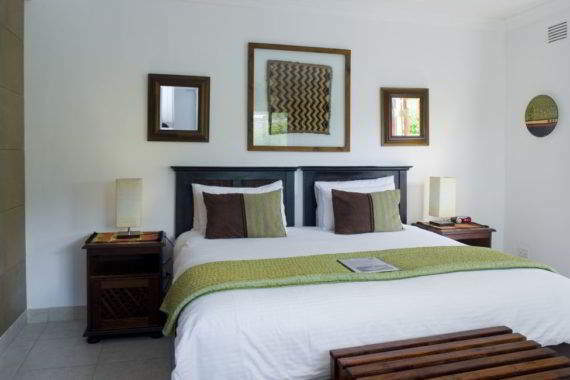 The rooms are comfortable, tastefully decorated and the grounds are beautiful. They have perfected the small touches and all who work there are delightful. Its a perfect base for exploring Knysna and I fully recommend not passing Candlewood or Knysna by when visiting the Garden Route. Thank you Ines and Andy. This stay in Candlewood was without a doubt one of our best B&B experiences ever. 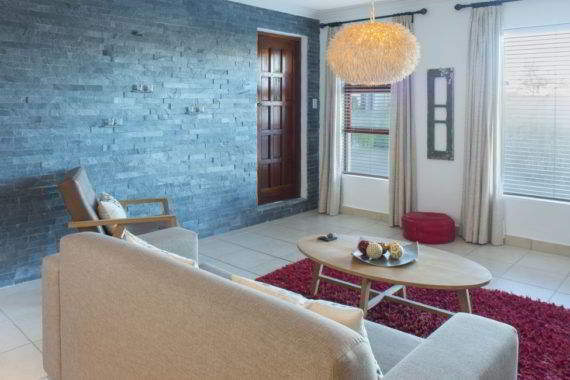 The house is absolutely beautiful with a splendid Knysna view. We stained in the deluxe room on the first floor and had a spacious reception area, big and comfy bedroom and a separate bathroom area. The hosts are young, warm, positive and pour their hearts into their boutique B&B. The breakfast they serve is a gem on it's own - delicious, plentiful and chef cooked! Seriously you shall definitely be visiting Candlewood for breakfast, if for nothing else. It's a true 5/5 stars! Loved it all!